Rune Legend is an original award winning WP7 puzzle game with detailed graphics and a strong story inspired by the old Norse mythology. 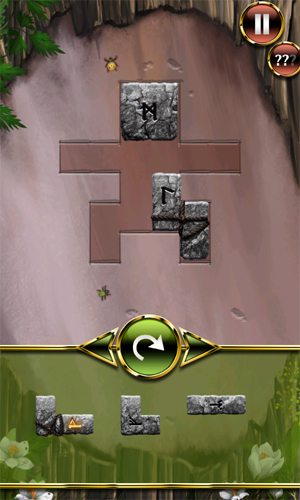 The puzzle is based on a simple technique the players supposed to place differently shaped runestones on the game board. Simple gameplay and easy controls make the game suitable for a wide range of players of all age or smart phone experience. Completing boards also trains spatial imagination. The game offers several different modes that the players can switch as they wish. The game content is therefore created by the players decisions. Its up to them if they pursue the epic story of great wisdom hidden in the runestones or to think hard about finishing a round with as little turns as possible. Action players may appreciate the swift time mode or compete with their friends in the multiplayer mode. The background story as well as the stylization is based on the old Norse legends. 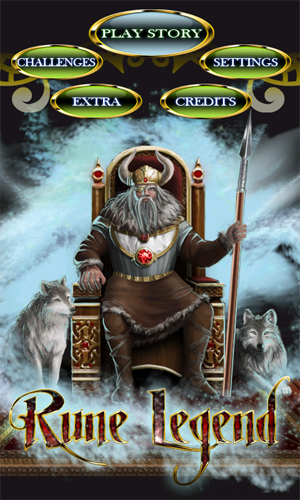 The game puts the player in the position of a follower of the God Odin and leads him through fantasy worlds in search of an old wisdom that the runestones keep. The storys being told by elaborate hand-drawn tableaus that familiarize the player with places and personas from the Norse mythology. He meets the legendary tree of Yggdrasil, the omniscient Norns or the wise giant Mimir. Only the bravest and clever can reach the journeys end. The full version of Rune Legend is available on Microsoft Marketplace for 2.99$. There is also a limited trial version, revealing the firstpart of story mode and several game boards from time trial mode.